Where family fun and friendliness is guaranteed. 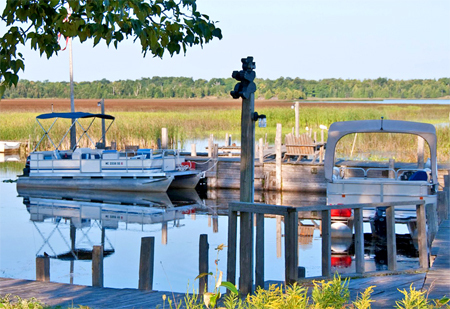 Upper Peninsula Boat Rentals, Cabin Rentals, Fishing, & Adventure. 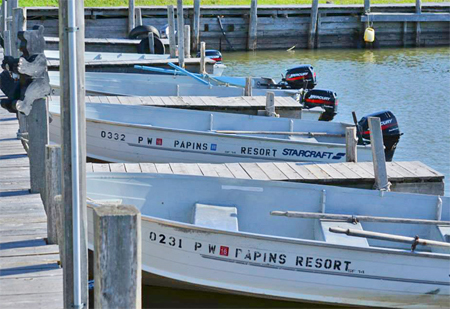 Welcome to our Drummond Island Boat Rental Information brought to you by Papin's Resort. 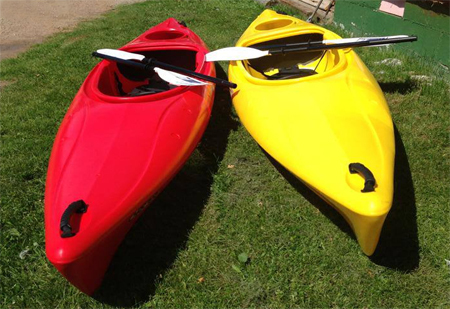 We offer fishing boat rentals, pontoon boat rentals and kayak rentals for your Upper Peninsula vacation. Fishing boats come with an anchor, cushions, life jackets, and oars. You are responsible for cleaning your trash out of the boat. Row boats are only available if we have boats with no motors on them. Motors are too heavy to remove just for a row boat rental. Row boats must stay on our property (they cannot be driven to and launched at another location). They hold between 10-12 people. They have a top over half of the boat. Boats do not come with electronics such as fish finders or depth finders. They are very basic and simple pontoon boats. They have a 40hsp mercury motor, good on gas, does not pull a skier or tube. NO live well, bring a cooler! There is a $175 prop deposit for all pontoon rentals. This deposit is refundable IF the prop comes back undamaged. This will be charged to a credit card. Prices do not include tax or fuel. You will pay for the fuel that you use. We supply life jackets and cushions, oars, and an anchor. Weekly boat rentals are from your arrival day until the night before your departure. Call ahead to make an appointment, or we may not be available. Weekly bookings taken first. No one day bookings until it's closer to the day that you want. There is nothing like gliding in a kayak along our beautiful Drummond Island bays to enjoy our scenery, sunrises and sunsets.